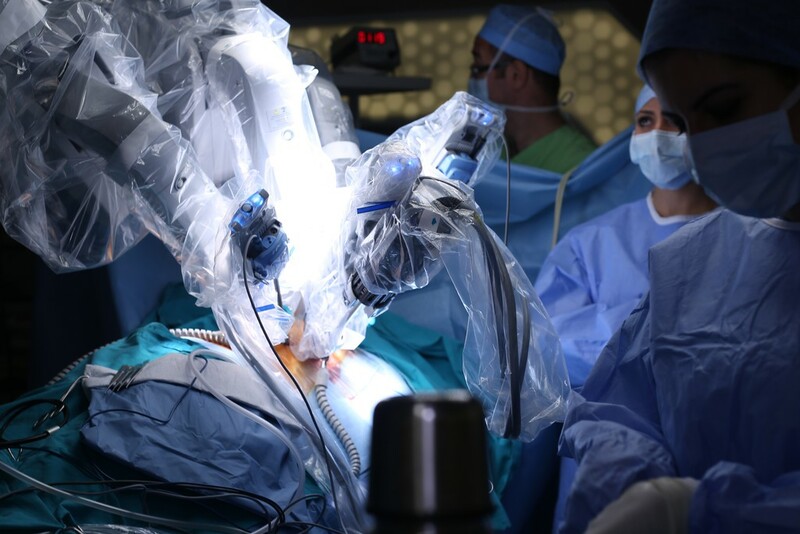 With the help of surgical robots, surgeons are able to operate comfortably with improved accuracy, making making even lengthy surgeries easier to complete with a lower likelihood of error. Patients also benefit from this, as robot-aided minimally invasive surgery often leads to less physical trauma. In order for surgical robots to be able to offer these benefits, the machinery itself must be reliably precise with proven repeatability. Safety is the top priority during the use of any robot and, as such, it is vital that all possible faults are addressed in the initial design stages. No matter how precise the gearing, or how sturdy the steel, if there are issues with the overall machine design the robot will not be fit for use. The first step to ensuring this safety is to identify any possible problems with the initial design. These can be broken down into three separate categories: mechanical failure, external issues and electrical problems. External and electrical issues are relatively straightforward. 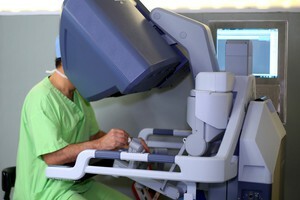 Common external challenges involve the size of the machinery itself, with space in hospitals increasingly at a premium. Likewise, consideration of electrical protection during the design phase can eliminate unpredictable risks further down the line. It is mechanical failure that is arguably the most critical, encompassing the components of the robot itself. This should come as no surprise as, if the joint in one of the arms of a surgical system were to fail, it could potentially prove fatal. Unfortunately, there is little that can be done initially to design out these faults in most cases. However, the importance of identifying these risks during the planning stages is that engineers are able to source quality components to reduce risks to an absolute minimum. For example, identifying the risk of power surges offers ample opportunity to use reliable power supplies with surge protection. Likewise, identifying the inadequate accuracy and repeatability characteristics in a system designed for laparoscopies, more commonly known as keyhole surgeries, allows engineers to use reliable, zero backlash gearing units with high torques and servo motor utilisation. Surgical robots used for keyhole surgery allow surgeons to be more precise in their incisions as the system handles the multiple apparatus required. Instead of a surgeon effectively juggling the laparoscope and surgical tools, the robot can handle both simultaneously for a quicker and more efficient operation. In order to do this, the robot should include lightweight gears offering zero backlash to ensure highly accurate movement. Backlash, which is fundamental in many gears, means that gears are unable to offer the smooth manoeuvrability required in keyhole surgery — making any backlash undesirable. Combining a zero backlash gear with other functionality, such as force measurement sensors that are often integrated into gearing units for feedback control, is ideal for surgery but must be done within the confines of the system’s size and weight specifications. Fortunately, there are solutions available. Gearing specialists such as Harmonic Drive use years of experience in serving the robotics and medical industries to develop precision gearing units that are lightweight, compact and reliable, delivering repeatable peak torques, zero backlash and easy integration. It is by using quality components such as these that the associated risks of surgical systems can be reduced or eliminated. While a study recently showed that surgical robots led to 144 deaths in the US between 2000 and 2014, this was across over one million surgeries and equated to 0.1 per every thousand operations. This still makes surgical robots approximately one hundred times more effective than humans, where one in every thousand results in serious complications. The figures make it clear that surgical robots lead the way in driving down the number of deaths caused by medical error. With developments in technology and careful consideration of components, this may soon be a reality. In time, we can also work to remove medical error as the third biggest cause of deaths and instead make innovative medical technology the number one life saver.